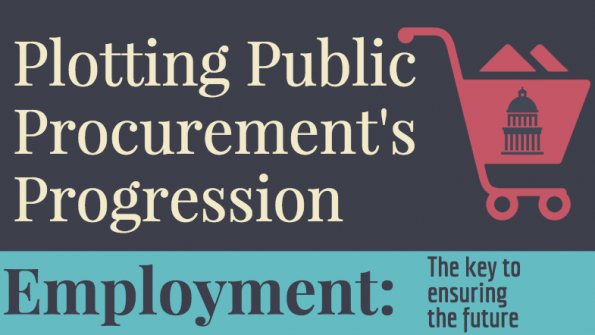 This infographic shows the trends that are shaping the future for the public procurement profession. The two most important changes are the electronic methods for both solicitations and contract management (including filing) and a trend toward workload sharing through decentralized procurement of small dollar transactions. Pcards are a part of this movement, as are electronic payments that interface with ERP’s. I believe that professional purchasing officers will be paid more, but given a smaller staff. The decentralization (with purchasing overview) and electronic processes will allow the change. High-dollar procurement and professional services will still be managed by well-trained and empowered procurement professionals.